A recap of last week’s Raw, surrounding the Universal Championship picture with Champion Kevin Owens, Challenger Seth Rollins, General Manager Mick Foley, and Commissioner Shane McMahon is featured. 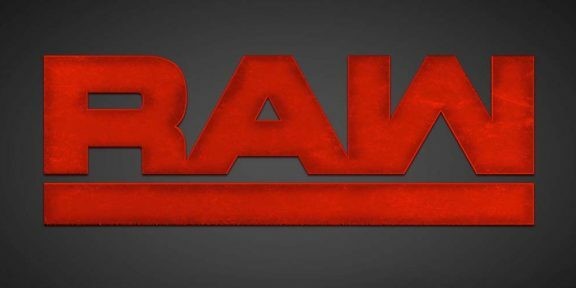 The regular Raw video plays and we go to the arena in Baltimore, Maryland. JoJo welcomes General Manager Mick Foley. He promotes tonight’s main-match, where Roman Reigns will wrestle Universal Champion Kevin Owens, and if Roman wins, he is added to the Universal Championship Match between Seth Rollins and Kevin Owens at Clash of the Champions on September 25th. He puts over Smackdown! Live’s Backlash Pay-Per-View from last night, and then brings out Women’s Champion Charlotte and her partner, Dana Brooke; replays of Charlotte, Dana, and Sasha Banks’ rivalry play during Charlotte and Dana’s entrance. Charlotte wants to say sorry, which both Mick and Dana take for themselves, but she denies it to be for them. Instead, she directs it to hers and Dana’s friendship. Foley cuts her off and goes to introduce Sasha, but “The Boss” stops him and marches out. Banks makes her case for wrestling Charlotte for the Women’s Championship, but Bayley makes her presence known now. She says that it should be her, since she pinned Charlotte on last week’s Raw. Dana suggests Sasha and Bayley wrestle to determine a #1 Contender; the Women’s Champion vehemently disagrees but Mick corrects both Sasha and Charlotte for trying to book the Championship Match, and changes his mind about the previously-booked one-on-one between Banks and Charlotte. Dana tries to help, thinking of Bayley VS. Sasha to determine; Charlotte berates Dana for that idea, and Mick agrees with Brooke. Charlotte gets in Dana’s face, but Brooke slaps back, to the happiness of the fans! Foley then adds Dana to the #1 Contender’s bout, which will take place after the break! They all circle around each other and Dana hits both Bayley and Sasha. She forces Bayley to the outside and controls over Banks, but Sasha recovers quickly, kicking Dana in the corner. She whips Brooke into another corner, but Dana turns her around and kicks her off of the apron. Bayley is back in and controls Dana for a while, working over her left arm. Sasha pulls Brooke from the ring and then she and Bayley faceoff. Dana gets back in, but Banks and Bayley double hip-toss her, and then Bayley and Sasha square-off again. Dana and Bayley are going at it, with Brooke governing. She gets Bayley in a fireman’s-carry position, but Banks slides in and sunset-flips Dana to break it. 1 – 2 – Brooke kicks out! Sasha sets up both Bayley and Brooke in the corner and goes for her springboard double-knees; Bayley rolls out of the way, but Dana gets the knees. Bayley soars off the top turnbuckle with a crossbody for a near-fall! Brooke clotheslines both Banks and Bayley and coves both for quick-twos. She continues to hit on Bayley with shoulder-rams in the corner, and then sets her up atop the turnbuckle. Sasha follows and powerbombs Dana while Brooke suplexes Bayley from the top! Sasha soon ties up Dana in her Bank Statement Crossface submission, but Bayley kicks Banks to stop Brooke from giving up. She Bayley-To-Belly-suplexes Dana, but Banks rolls over and breaks up the pin, with a jackknife cover of her own for the victory! Dana is walking through the halls and apologizes to Charlotte; the Women’s Champion doesn’t want to hear it and orders Brooke to take her bags. The Shining Stars – Primo and Epico – are convincing R-Truth to go to their home country of Puerto Rico; he takes them upon the “deal” until Goldust walks in and yanks him away. Primo and Epico turn around into Big Cass, and then Enzo Amore, who walks up. They accuse the Stars of cheating by holding the tights, but Primo and Epico deny. Later tonight, it will be Enzo wrestling Epico. Tom Phillips interviews Universal Champion Kevin Owens about having to take on Roman Reigns tonight; he is not pleased with the situation of being asked because he thinks Tom is going to insinuate that Owens is going to find excuses. Instead, Kevin is confident that he remains champion. The camera turns to Chris Jericho, who is standing right there. Jericho is ticked that Mick has taken Owens away from “The Highlight Reel;” but Chris has a backup plan, which is Sami Zayn. Bo Dallas makes his entrance for his match, next. (Note: Bo tells us that he should’ve just “believed in Bo.”) Bo completes this one pretty-effortlessly, finishing with a powerslam. Chris Jericho is out; Sami Zayn soon joins him. They discuss Kevin Owens, who Sami says he is done with. The only thing he wants is the Universal Championship. Jericho continues to egg Zayn on, referring to his “ole” chant that the fans call, but Sami retorts with legendary cites of Dean Malenko and the late-great Eddie Guerrero as to reasons why he is a professional wrestler. “Y2J” taunts Zayn more about Kevin, and then slugs him with his cell-phone and continues to beat him down. Sheamus is holding Cesaro in a backbreaker-submission, but Cesaro fights back. He kicks Sheamus in the corner and then rockets off the top turnbuckle with a crossbody for two! He reverses White Noise into The Sharpshooter, but Sheamus makes it to the ropes. Sheamus goes for the Celtic Cross powerbomb, but Cesaro rolls through and uses the bottom rope for leverage to get this! Winner via Pinfall: Cesaro; Series is now 3 – 2 for Sheamus. Seth Rollins is in GM Mick’s office, wondering why Roman is getting another try at the Universal Championship Match. Foley defends his decision since Triple H interfered in the Fatal-4-Way for the Universal Championship two weeks ago. Rollins is not happy, and tells Mick to watch the WWE Network to compare his and Reigns’ work. He wants to talk to Stephanie, but Foley says she is not around; Rollins takes umbrage, which Mick mistakes for insulting his integrity. Rollins says he wouldn’t do that, but that Mick is a “fool” for continuing this way with Roman. Nia destroys Fox, chucking her around the barricade and spearing her through the timekeeper’s area. Referees check on Alicia. Tag-Team Champions The New Day prance out. Xavier has the microphone first and plays up the crowd. All three – Kofi Kingston and Big E. as well – regret that the fans had to sit through Luke Gallows and Karl Anderson’s “comedy” routine last week. They calculated it to be five minutes and thirty-seven seconds of our time spent, and then list better things we could’ve been doing. Karl and Xavier start, with Woods getting the better after moving around Anderson and hitting a dropkick. He elbows him repeatedly to “New Day Rocks” on his shoulder, and then Kofi is in, diving off the top turnbuckle. Kingston double-boots Gallows, who was switched in, but is soon taken over. Kofi eventually gets the hot-tag to Xavier who cleans house on The Club. He flips over and hits Karl with a clothesline. They both hit back-and-forth with forearms, and then Woods hits a few consecutive ones before getting an uppercut. Xavier leaps back with a DDT, and then soars off of the top rope with an elbow drop, but Luke breaks up the subsequent pin-attempt. Kingston is knocked down, and Karl gives Xavier a bicycle-kick. Both he and Gallows follow with their Magic Killer finisher for the 1 – 2 – 3! Roman Reigns is walking through when Tom Phillips walks up; he wants to know what Roman is thinking. All he wants to do is be in the Championship match at Clash of the Champions. Prior to the bout, Jinder claims himself to be “the man who comes in peace.” This goes back-and-forth for a bit until Jack gets booted out of a Swaggerbomb attempt; Mahal takes this after a pull-back neckbreaker. 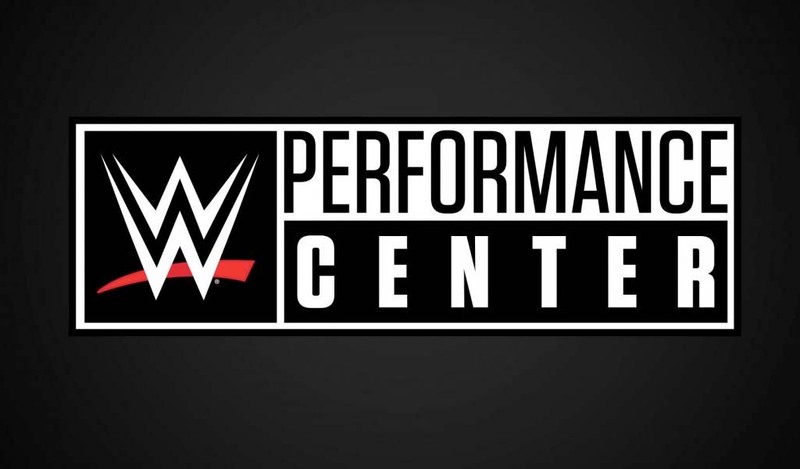 Tom Phillips wants to know Swagger’s thoughts as his contract is finished soon. Jack says nothing and walks away. Epico takes this after falling in a crossbody position and Primo holding Enzo’s leg from the outside! Universal Champion Kevin Owens and Seth Rollins have a chat; Kevin runs down all the people who Seth needed help from to become WWE Champion, and then says Triple-H bailed on him for someone better because Rollins couldn’t get it done since returning in May. Both Roman and Kevin make their entrances for the main-event, next! The bell rings and Owens goes to the floor right away, delaying. Roman follows and slugs away; he slams Kevin’s head off of the barrier and headbutts him. Back in the ring, Owens gains control with kicks and punches. Reigns comes back with a slingshot-dropkick through the ropes, and then sends Owens into the barrier. In the ring, Kevin elbows Reigns out of the corner and shoves him to the canvas. He clamps on a grounding rear-chinlock, but Roman breaks out of it and gains momentum. He signals for the Superman Punch, but Owens rolls to the floor. He hits Reigns with a kick while Roman leapt off of the stairs, and then runs Roman into the ring post. The Universal Champ is in firm control with another grounding rear chinlock; again Roman gets out, but misses Owens in the corner and runs into the ring post. Kevin focuses on Roman’s shoulder, but is soon assaulted by Seth Rollins, who charged down the ramp! Seth is punching away and the bell rings, and Owens is announced the victor by Disqualification. Post-match, Rollins continues the fight until referees, agents, and Mick Foley stop him. Foley demands they “have a chat” and the agents and referees walk Seth to the back. Mick makes the referee restart this match! Owens knees Roman repeatedly but Roman hits back with a big clothesline! He hits Kevin numerous times with more in the corner and then catches a kick of his and turns it into a Samoan Drop! He tries a top-turnbuckle superplex, but Owens reverses into a second-turnbuckle fisherman’s-suplex! 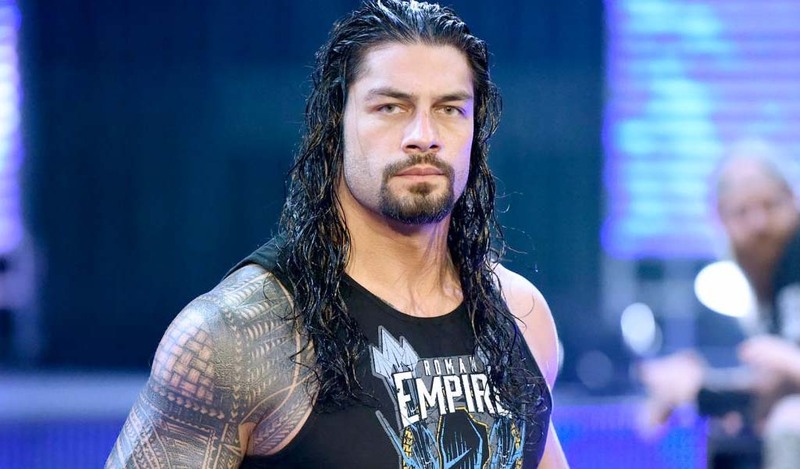 1 – 2- Reigns just raises his shoulder! The Universal Champ follows with a top-turnbuckle Frogsplash, but Roman still gets his should up! Kevin kicks Roman into the corner and mocks his roar, but misses the follow-up Cannonball-Splash! Reigns roars now, but Owens kicks him as he ran! Roman hits the Superman Punch back, but The Champ is still in this after a pin-attempt! Reigns hits the Drive-By running-front dropkick on the outside that looks to have knocked-out Owens. Roman puts Kevin back in the ring, but Owens knees him and kicks him into the corner. He follows with a couple of Cannonball-Splashes, but can’t get the Pop-Up-Powerbomb as Reigns reverses into sit-down-powerbomb for two! Suddenly, United States Champion Rusev runs down and hops up on the apron! Roman Superman-Punches him down, but Owens capitalizes with a Pop-Up Powerbomb! He covers and receives the victory! Post-match, Kevin struts to the back as Rusev kicks Roman hard in the head in the ring. he continues to pound away with fists as Lana watches on from the stage, holding his United States Championship. Rusev calls for it and locks on The Accolade Submission to close the show.